Julio Alvarez is the founder and owner of Nostalgicar, as garage in Havana that specializes in restoring classic cars to their original beauty. Julio has hosted dignitaries such as Michelle Obama, John Kerry, and has spoken in Washington, DC about the importance of supporting Cuban entrepreneurs. Cuba’s most famous independent clothing brand, straight from their shop in Old Havana. Against all odds and the Cuban Embargo, Clandestina became the first Cuban business to sell goods online in the United States, and is thriving as the most well-known brand in Cuba. Las Terrazas is an eco-community about 45 minutes West of Havana in Sierra del Rosario. Founded by Osmany Cienfuegos in 1968, this beautiful community was formed out of the mountains into homes, schools, health clinics, and now tourist facilities all dedicated to the green way of living. Las Terrazas came under UNESCO protection in 1984 due to the success of the reforestation project. It is now home to 117 bird species, including 12 that are endemic. Hotel La Moka, an ecological hotel with trees growing up through the balconies and ceiling, is in the heart of the town. It even welcomed former US President Jimmy Carter in 2002. There are also more than 117 species of birds in Las Terrazas, including 12 endemic. Las Terrazas is also home to a former French coffee plantation that was run by slaves in the 19th century. Here you will find some of the most spectacular views in all of Cuba, stretching all the way down to the Northern coast at the Port of Mariel. Famously visited by Conan O’Brien, the museum teaches us about the storied history of rum in Cuba. Yes, this includes samples during our lunch at the museum’s restaurant! We take a ferry across the bay to Regla, where we visit The Lady of Regla Church, a view the cross between Santeria and Christianity. We also have the opportunity to visit Cristo de la Habana, and take photographs from across the bay. There is also a wonderful display commemorating the Cuban Missile Crisis, with remnants from an American plane which was shot down. 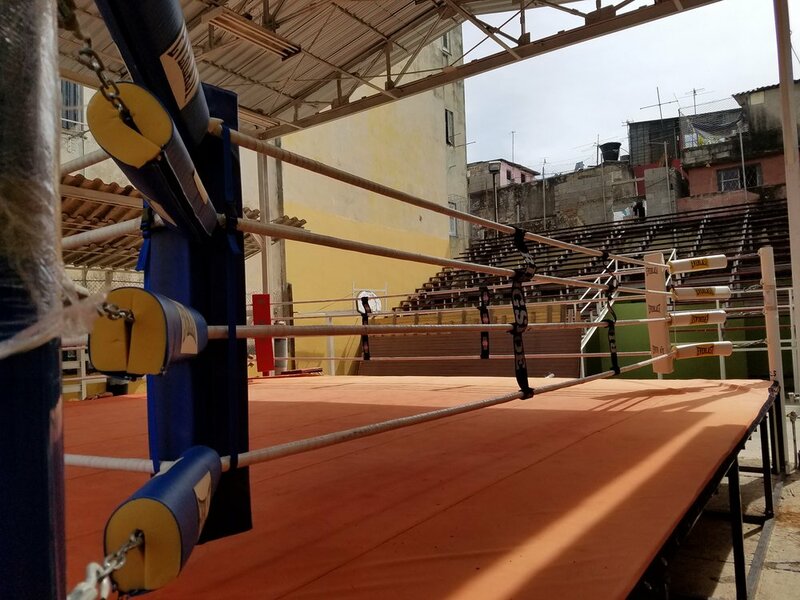 We meet Nardo Mestre, the head trainer and watch the boxers train, and learn about the history of Cuban boxing and supreme talent of the Cuban fighters. If the schedule permits, we’ll even have the chance to see a live, 4-round boxing match.